Learn more about this disgusting financial practice here. On Monday, The Supreme Court of the United States ruled that workers can sue their employers over high fees in their 401(k) plan offerings. Workers have complained for years about being forced to choose high fee investment options in their 401(k) plans because of a lack of other options. In a 9-0 decision, the justices decided that employers could be sued if their retirement plans offer employees mutual funds with unnecessarily high fees. Stock Brokers vs. Fiduciaries- Do You Know The Difference? 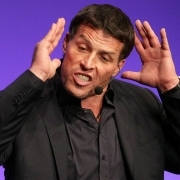 Tony Robbins recommends this short video clip in his new book, Money: Master The Game. This is a great explanation of the difference between brokers and financial fiduciaries. Most brokers call themselves “financial advisors” or “financial planners,” but less than 10% of them are actually fiduciaries. Robbins advocates for using an Independent Fee-Only Fiduciary in order to protect investors from deceptive sales practices. This clip here gives a nice break down of why. https://www.horizonswealth.com/wp-content/uploads/2019/03/Horizons-logo-retina.png 0 0 David Hunter https://www.horizonswealth.com/wp-content/uploads/2019/03/Horizons-logo-retina.png David Hunter2015-03-30 12:22:542019-03-24 22:33:18Stock Brokers vs. Fiduciaries- Do You Know The Difference?